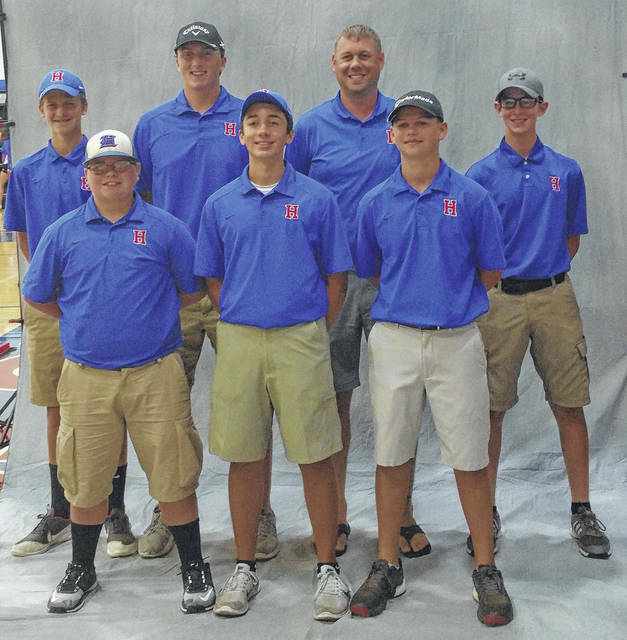 After finishing third in the Mid-Ohio Athletic Conference last year, Highland golf coach Chris Rupe will be looking for an even better performance in the team’s first season in the Knox Morrow Athletic Conference. The team returns three letterwinners. Sam Lopiccolo is a three-year varsity player who was a second-team pick by the MOAC last year. Also, Cameron Snyder has two years of varsity experience and Noah Dado has one. Rupe also can count on three freshmen, as Owen Mott, Dillon Lehman and Drew Santo all joined the team. However, he will have to overcome four losses, as Caleb and Luke Dodds moved to Florida, Jarin Vasquez went back to football and Bryan Whited graduated. In the conference, the coach looks at Mount Gilead and Cardington to be the teams to beat. Highland’s golf team is in the above picture.